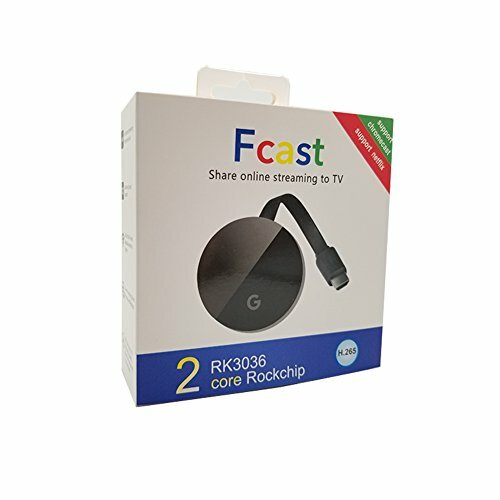 Stable and More easy connecting.Supports Car HDMI, Like CarPlay.Streaming Video From Phone to Big Screen,Wide Used In Business meeting, Home theater,Game experience. Eye-protecting! The operation is simple and convenient, IOS and Android are applicable. The software can be updated online and still works when your smartphone or tablet is updated. All products support YouTube playback, chip RK3036, support 1080P, H.265 decoding, dual-core processor, part of the switch-free system, contact customer service for details. Compatible with Google Home APP. Support Hulu, Netflix,Honda and encrypted video. By Airplay, Miracast, DLNA Protocol.Mirroring screen from phone to TV will be fluently. Plug and Connect: HDMI wifi dongle. Do not need to Change mode,No APP. Plug and Connect Directly.But need to keep power at least (5V 1A) connect at the same time.Wide Used in Car(like CarPlay), Home, Office,School to mirroring screen from phone to big screen. Stable Signal:Wireless display adapter Wi-Fi: 802.11b / g / n 2.4GHz Wireless WiFi 450Mbps. (With External WiFi Antenna to provide 10M WiFi Signal Coverage).Stable and More easy connecting.Supports Car HDMI, Like CarPlay.Streaming Video From Phone to Big Screen,Wide Used In Business meeting, Home theater,Game experience. Eye-protecting! If you have any questions about this product by TJoyfun, contact us by completing and submitting the form below. If you are looking for a specif part number, please include it with your message.